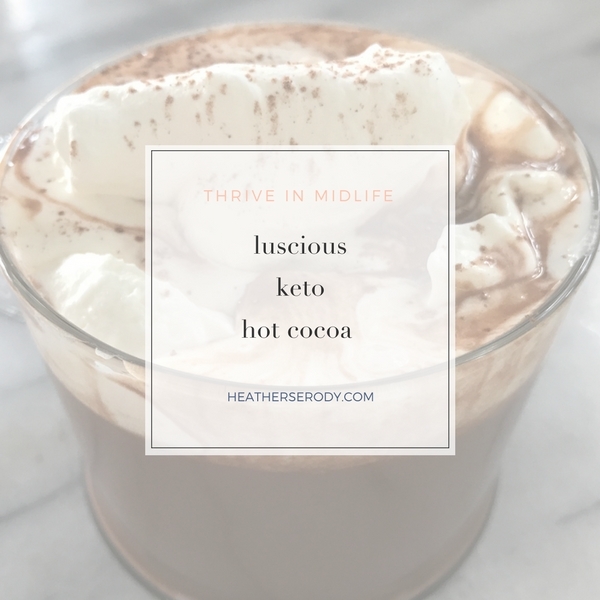 For this recipe, my goal was to create luscious hot cocoa that is low carb and keto approved. In order for all that to come together, I used two tricks. I added a pinch of sea salt and a dash of cayenne pepper. 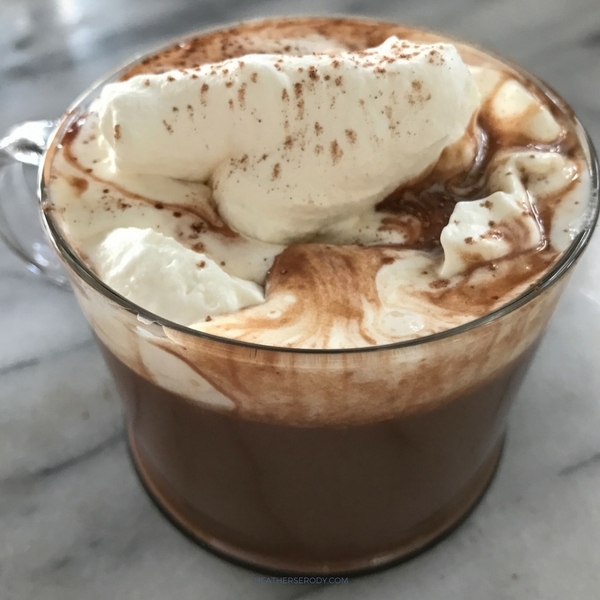 Trust me, they won't make your hot cocoa taste hot or salty, but what they DO do is really bring out the flavor of the chocolate and the vanilla, so don't skip these ingredients! I made this cocoa with full-fat canned coconut milk because it's low in carbs and has all those glorious monounsaturated fats that we ketonians love for their fat burning potential. 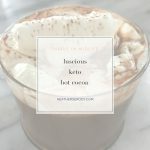 I tested and tweaked several times to make sure this luscious keto hot cocoa was just right. It's so chocolatey that you really can't even taste the coconut flavor of the milk. If you want to go over the top add some whipped cream and more cocoa powder. The best way to have this is right before a sweaty workout or spin class to maximize fat burning & ketosis since the fat in coconut milk is easily absorbed and used by the body for energy. The fat in coconut milk is primarily saturated fat, but don’t buy into the fallacy that saturated fat will raise your cholesterol or cause heart disease, as that has been proven to be false. The reality is that coconut milk (and all high-quality sources of saturated fat) help lower cholesterol, improve your blood pressure and prevent heart disease when eaten in conjunction with a low-carb way of eating. Just 5 net carbs per mug. This recipe makes two full mugs of cocoa. If you only want to make one serving, you can freeze the extra portion for another time. Whisk together the coconut milk & water in a small saucepan over medium heat until combined & you see steam rising from the top. Turn the burner down to medium-low and add the remaining ingredients except for the vanilla extract. Whisk together until all of the chocolate is melted, then turn the burner back up to medium & cook, stirring occasionally until cocoa starts to simmer. Remove from heat and add vanilla extract, whisking to blend well. Pour into mugs immediately and top with whipped cream if desired. Nutrition information is for the cocoa without whipped cream. *carbohydrates listed reflect a 0 impact from Swerve Sweetener & 2 net impact carbs from Lily's stevia-sweetened chocolate.